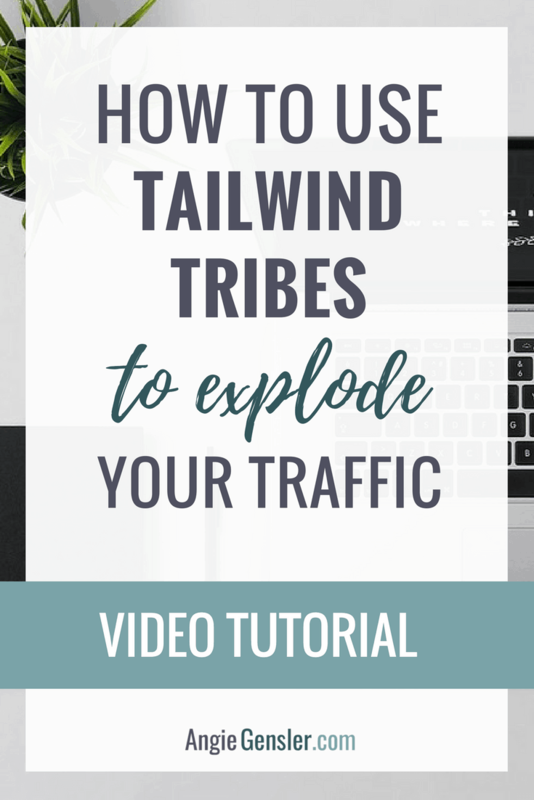 If you’re a blogger or online business owner, chances are you’ve heard your peers raving about Tailwind Tribes. Many bloggers attribute explosive website traffic to Tribes. If you’re curious what this “Tribes” thing is all about you’ve come to the right place! In this post, I’m going to explain what Tailwind Tribes are and how Tribes work. I’ll walk you through how to get started and I’ll share my personal results with how Tribes has exploded my website traffic. I use Tailwind primarily for Pinterest and it saves me hours each week by allowing me to schedule hundreds of my Pins in minutes. To learn how I use Tailwind to quickly schedule hundreds of Pins, watch the video tutorial below. It was one of the first investments I made in my business, and so far, one of the best! It only costs around $10 per month and it saves me hours each week and generates the majority of my blog traffic. In fact, 60% of my blog traffic comes from Pinterest and the majority of my Pinterest activity is managed with Tailwind. 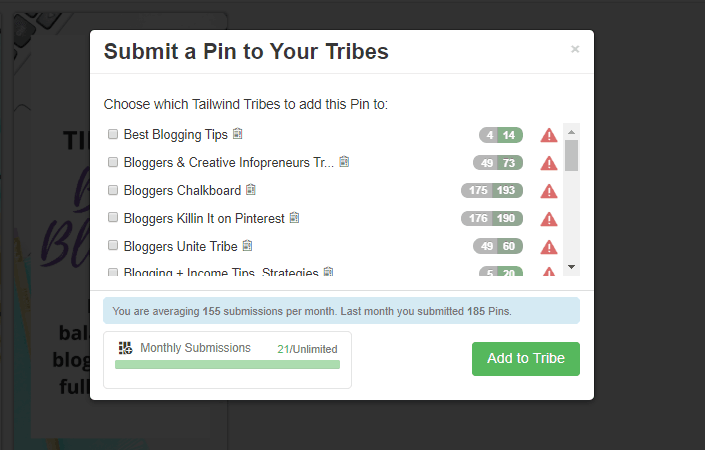 Plus, a large portion of my Pinterest traffic can be attributed to Tailwind Tribes. 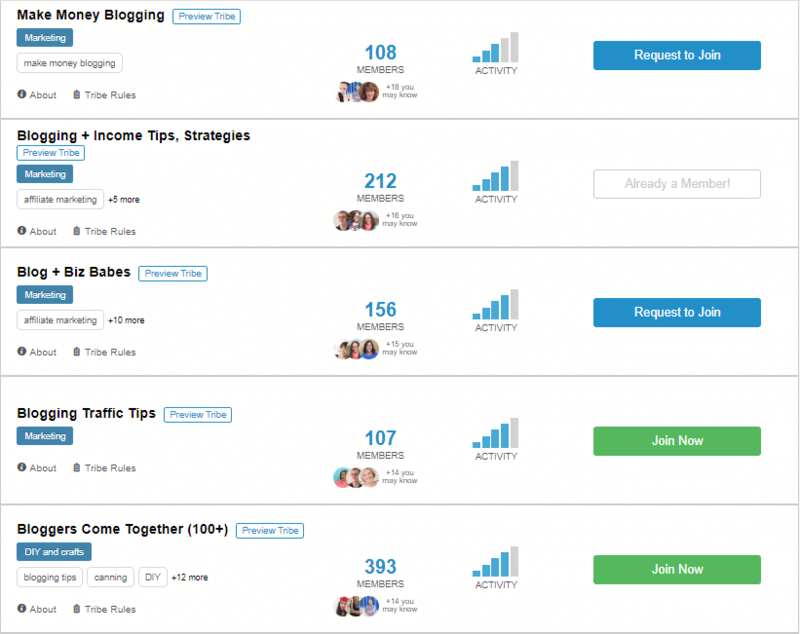 Tailwind Tribes is a tool to help bloggers and marketers connect and share one another’s content. Tribes live within the Tailwind platform. Here’s a screenshot of the Tribes tab within Tailwind. The above image is a snapshot from my Tribe, Social Media & Digital Marketing. I created my Tribe to provide marketing tips that help bloggers and online business owners grow their business. Tribes operate very similar to group boards, but they are much more effective. I like to describe Tribes as group board on steroids. Each Tribe operates under its own set of rules. If I scroll down a little more within my Tribe (see the screenshot below), you’ll see that I’ve created a set of rules for members to follow. Each Tribe owner gets to create rules for their Tribe. Typical rules include the type of content you’re allowed to share and reciprocal sharing requirements. For example, for each Pin you add to the Tribe, you must share at least one Pin from another Tribe member. Almost every Tribe has some type of reciprocal sharing rule. Pinterest group boards also have reciprocal sharing rules, but there is no way to know who is following the rule and who isn’t. Tailwind solved this massive problem by including powerful analytics within Tribes. This is what makes Tribes SO powerful. The two numbers next to each Tribe members name are only visible to the Tribe owner. The first number in grey is how many Pins they’ve added to the Tribe. The second number (green, grey, or red depending on their share count) is how many Pins they’ve shared from the Tribe. I monitor these numbers weekly and kick-out members who are abusing the Tribe and not sharing Pins. Another amazing feature of Tribes is the ability to perform certain actions for each member. Look at the white pop-out box next to the list of Tribe members in the screenshot above. When you click “Only” you’ll see only the Pins added to the Tribe by that member. When you click “Chat” you can send the member a direct message. I use the chat feature to let Tribe members know if they’re abusing the rules. If they’re adding valuable content to the Tribe I will give them one warning before I kick them out. If a member is adding crap and not sharing anything, I kick them out without warning. Tribes make this super easy with that “Kick Out” button so make sure you follow the rules of each Tribe! Now that you know how Tribes work, how do you get started and find Tribes to join? First, you need to create a Tailwind account. You can get started with a free trial and receive a $15 credit by using my affiliate link. Once your account is created, Tailwind has made it extremely easy to find and join Tribes. Once you’re in the Tribes window, click on the “Find a Tribe” text on the top left (see the screenshot below). 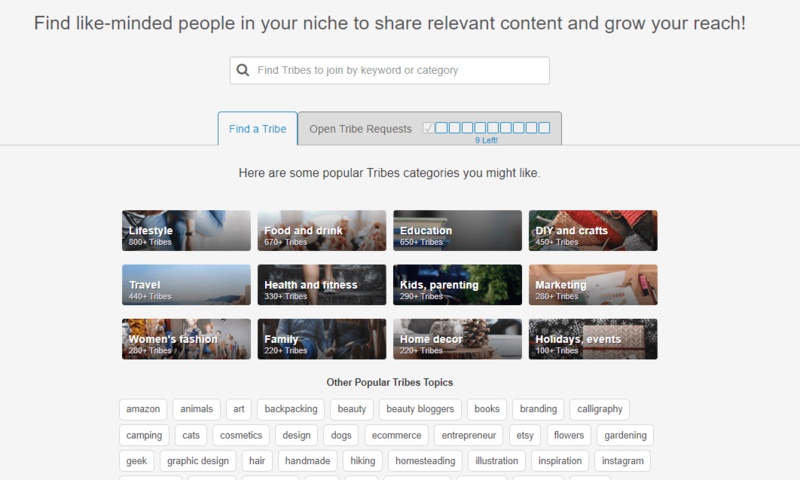 This will open a new screen that allows you to search for Tribes by topic. For example, if you’re a food blogger, you’ll want to find Tribes specifically for food-related content. When you type in a word, a list of Tribes related to that word will populate. I typed in the word “Blogging” and here are five Tribes that came up in the results. Tailwind provides a lot of detail about each Tribe to help you decide which ones to join. The buttons on the right allow you to join the Tribe. A blue button means the Tribe is private and you have to request to join. A green button means the group is open to anyone and you can join right away. Personally, I only join Tribes with high activity (4 bars or more) and 50 members or more. Depending on the plan you purchase, you’ll want to be very picky about the Tribes you join. Your Tailwind account includes free membership to 5 Tribes, but you can purchase access to additional Tribes. Tribes is such a massive traffic driver for me that I opted for the unlimited plan. This means I can join unlimited Tribes and add unlimited Pins each month. For my business, this investment was worth every penny, but you can still experience amazing results with just 5 Tribes if you join the right ones. Once you’ve been accepted to a Tribe, you can start adding and sharing Pins from the Tribe. There are a few different ways to add content to a Tribe, but the easiest way is to use the Tailwind Chrome browser extension. Once you’ve downloaded this extension, you will always see the little Tailwind icon along the top right bar of your Chrome browser. When you’re on a web page with content you want to Pin, whether it’s a blog post or on Pinterest itself, click the Tailwind icon and it will pull up all the images from that page. Click on the image(s) you want to Pin and click the blue “Go Schedule” button on the bottom right. This will pull up the Tailwind scheduler and each image you selected will be displayed. Here you can change the descriptions and choose which boards you want to share each Pin. You’ll also notice an “Add to Tribes” button on the bottom right of each Pin. When you click this, a box will open up with all of your Tribes. You can select which Tribes you want to save the Pin and you’ll also see your share numbers for each Tribe. This makes it very helpful to see if you’re being a good Tribe member or not. You’ll also see a red warning icon if you’ve already saved that particular content to that Tribe. This is important if the Tribe has a strict rule against adding duplicate Pins. Again, know your Tribe rules! Now that you know how to add content, you need to know how to share content so you don’t get kicked out of the Tribe. Sharing content is much easier to learn than adding content. 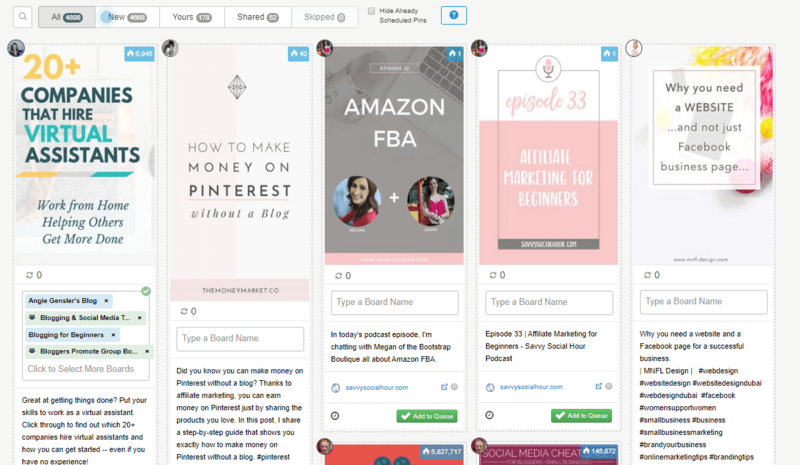 Similar to your Pinterest smart feed, when you’re in the Tribe, you’ll see all the content displayed and you can scroll down to view more Pins. When you find a Pin you want to share, click in the “Type a Board Name” box and select all the boards you want to add the Pin. Look at the Pin on the left in the image above. The blue board names indicate personal boards and the green board names indicate group boards. You can also alter the description of the Pin or select a custom day and time to schedule the pins, but those are more advanced options I won’t get into in this post. For now, just select the boards you want to add the Pin and click the green “Add to Queue” button. Simple as that! I began using Tribes in January 2017, when Tribes was still in beta. My blog was just a couple weeks old, so I wasn’t expecting much. In just 3 weeks of using Tribes, I was absolutely floored by the results! Back then, I was a member of 11 Tribes and after 3 weeks time, I had added 12 pins to my Tribes. In those 3 short weeks, with only 12 Pins, I experienced explosive reach and traffic. And, the time I spent within Tribes was less than 15 minutes per week. From just 3 Tribes, my pins were shared by my Tribe-mates 240 times, re-pinned by their followers 163 times and my potential reach was over 1.9 million people. And you know how long it took me to get that exposure? WHAT?! Can you say, game changer? I was a brand new blogger (around 30 days old) and I was reaching nearly 2 million people. I share my results from my first 3 weeks of using Tribes because I want you to see the power of Tribes applies even if you’re brand new with minimal content to share. 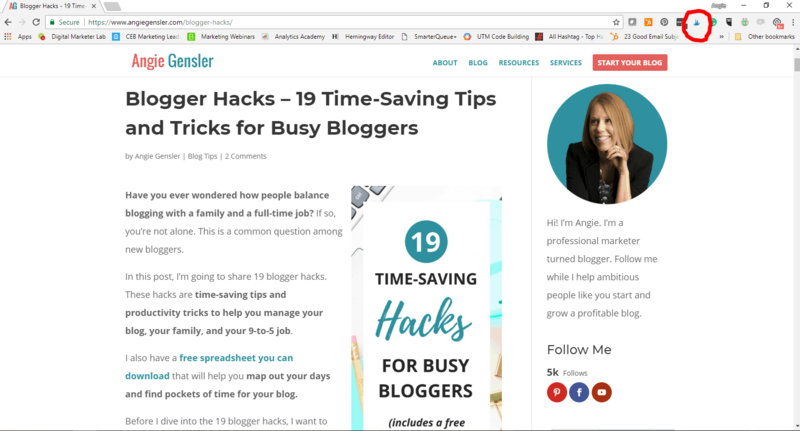 You don’t have to be a mega blogger with a huge backlog of content for Tribes to work its magic. Fast forward 16 months later, and my traffic and reach from Tribes is even larger. I’m now a member of 21 Tribes and I add 150 – 200 Pins throughout my Tribes each month. To give you a direct comparison, below are my current stats from two of the three Tribes I shared above. I have since left one of the Tribes so I included the stats for a new Tribe I joined that performs very well for me. Remember, I’m a member of 21 Tribes and this is just a snapshot of the results from three of my Tribes. Luckily, Tailwind sends me a weekly email with stats from my Tribes so I don’t have to spend time adding up all the numbers from each Tribe. Take a look at the screenshot from an email Tailwind sent me in April 2018, with my total reach since I’ve joined Tribes. (This represents about 16 months of being a member of Tribes). Those numbers blow my mind! Do you know how much money it would cost to run Facebook ads that reach 55 million people? Do you know how many hours you would have to spend on Instagram to get your brand in front of that many people? There is no other traffic strategy that comes close to working as well as Tribes. This is a unique opportunity for bloggers and you HAVE to take advantage. Now, I do want to clarify that these are my personal results. Tailwind publishes the Typical Results of Tailwind for Pinterest Members every year, so you can see exactly what the average growth rate looks like for their members. I hope this article has helped you better understand what Tailwind Tribes are and why you need to join the Tribes party! 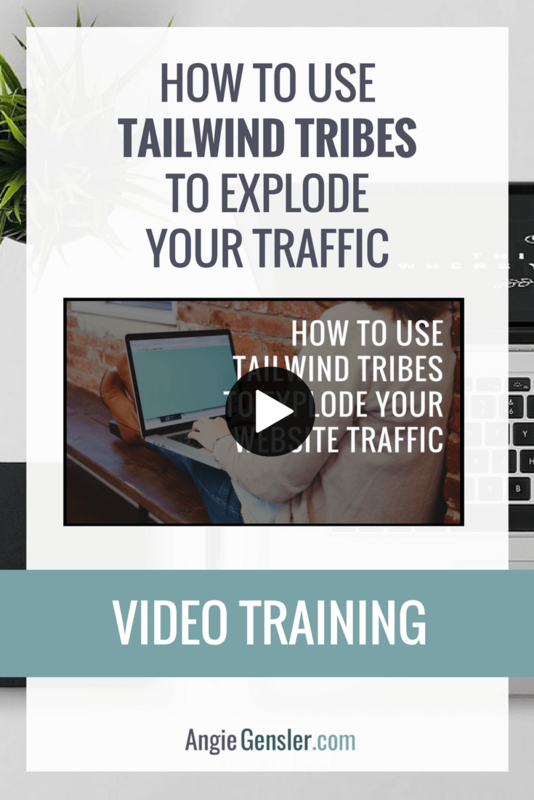 If you want a free trial of Tailwind and a $15 credit to try out Tribes and all the other amazing features Tailwind has to offer, click here to sign up using my affiliate link. Once you’ve joined, look for my Tribe! If you Pin social media, marketing or business related content I would love to have you join my Social Media & Digital Marketing Tribe. For more tips on how to use Tailwind, Tribes, and Pinterest to grow your blog, sign up for my free Pinterest Traffic Masterclass. 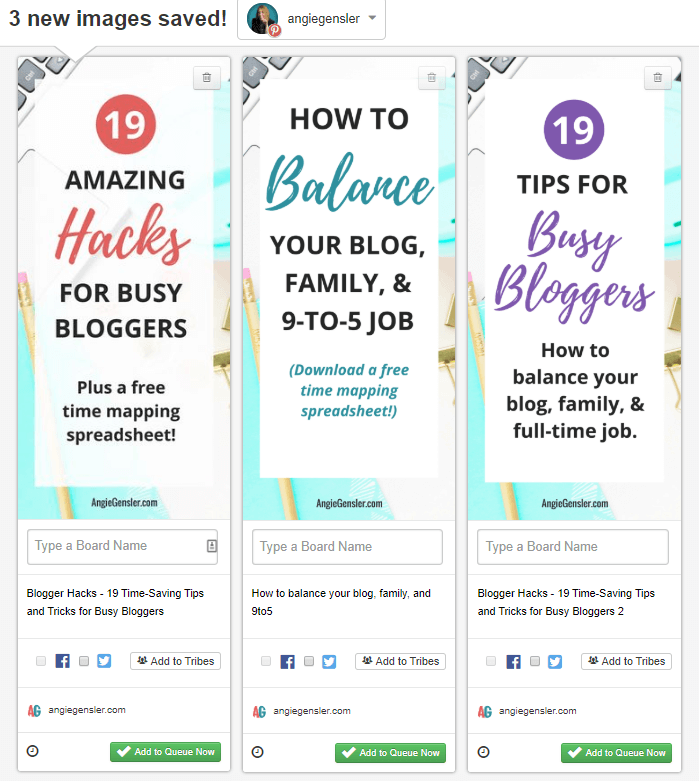 You’ll discover three Pinterest strategies to increase your blog traffic in 30 days or less without spending a ton of time or money.